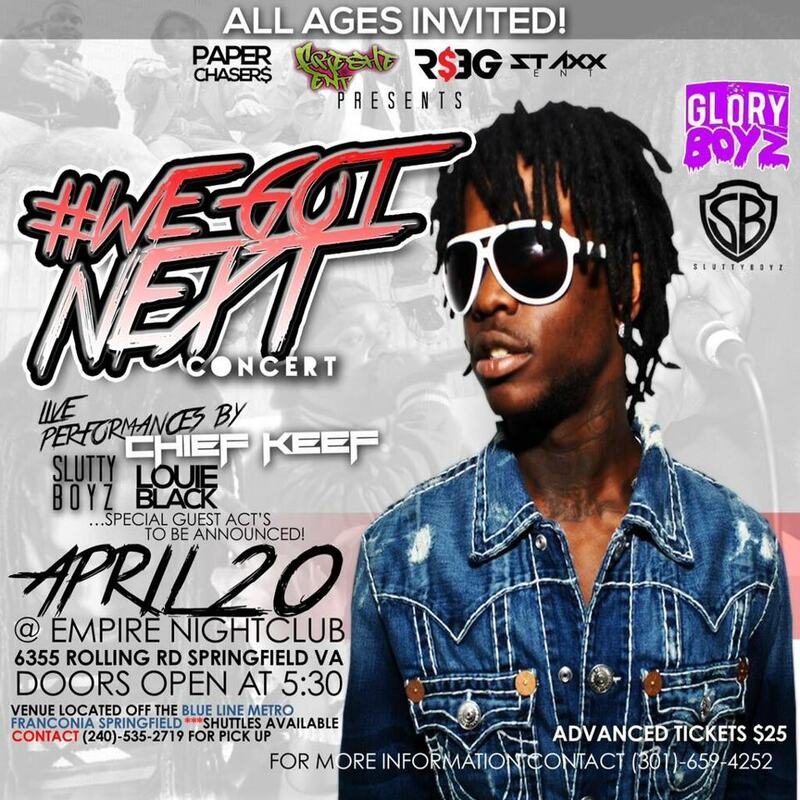 Breaking News Chief Keef Performing Live at EMPIRE NIGHTCLUB!!!! 4/20 Join Chief Keef & The Slutty Boyz for The WE GOT NEXT Concert with Special Guest Performers Loui Black ...Mburb and 2 Special Guests Acts!!! !